This stamp set sure was a hit at Stampin' Up! 's convention this year. I probably have 15 swaps with this set. Obviously it is very versatile! 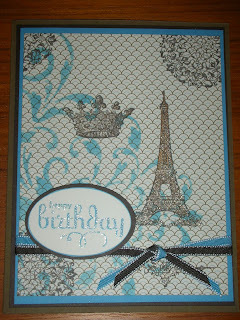 Thanks to Ann Lohmeyer for the inspiration for this card which we made at a recent workshop. It also uses the Decor Stencils which I hadn't used yet. 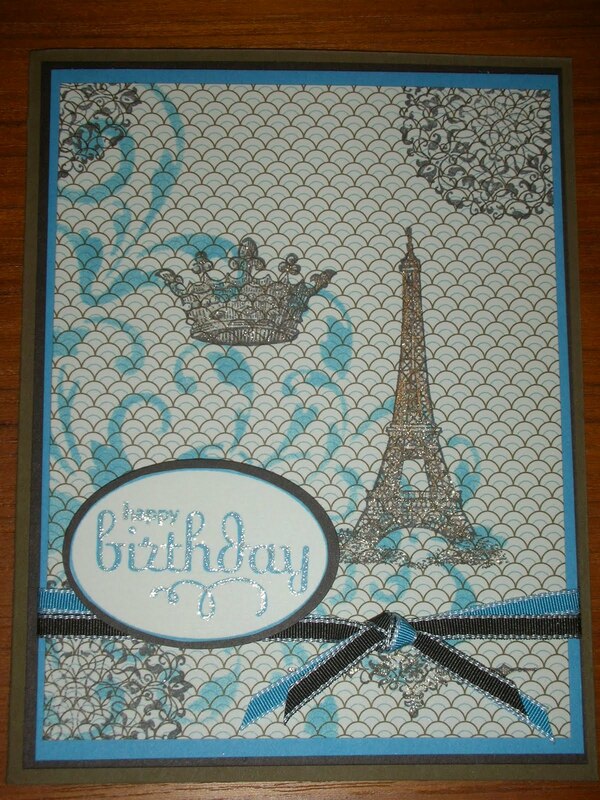 Now, if I could just get someone to give me a trip to Paris for my birthday! Stampin' Up! Artists Are So Clever!